We just hit spring, but we're a long way from having any fresh local veggies. I'm getting to the end of my winter storage, so it's time to get creative with what's left in my pantry. I canned a bunch of tomatoes last summer, so that's one staple that I've still got in my pantry. I've also got a lot of red kidney beans from a local producer, Baer's Beans. Not surprisingly, my mind goes to chili. Now one of my foodie co-workers told me how she wasted some of her canned tomatoes on chili earlier in the winter. I can see where she's coming from. Typical chili recipes call for tomatoes as the conduit, not the star of the dish - chili aficionados discuss the nuances of bass notes from dark chocolate or the melding power of a stout beer base, but rarely do they discuss the quality of the tomatoes. Since home canned tomatoes are so flavorful on their own, I hate to put them in recipes that drowned out their natural flavor with all sorts of other seasonings. 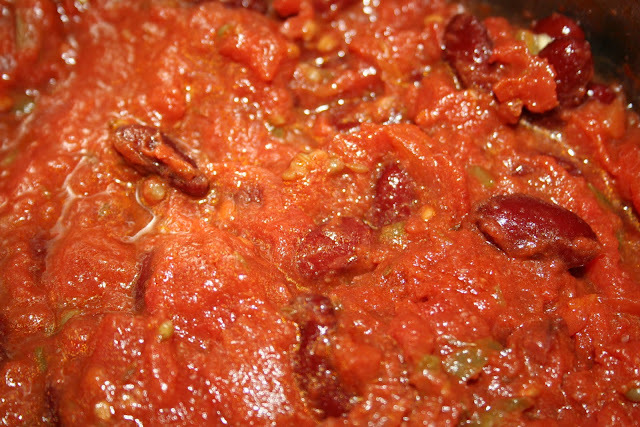 So I decided to make a very simple chili with fresh and whole flavors that punctuate, but don't overpower my canned tomatoes. 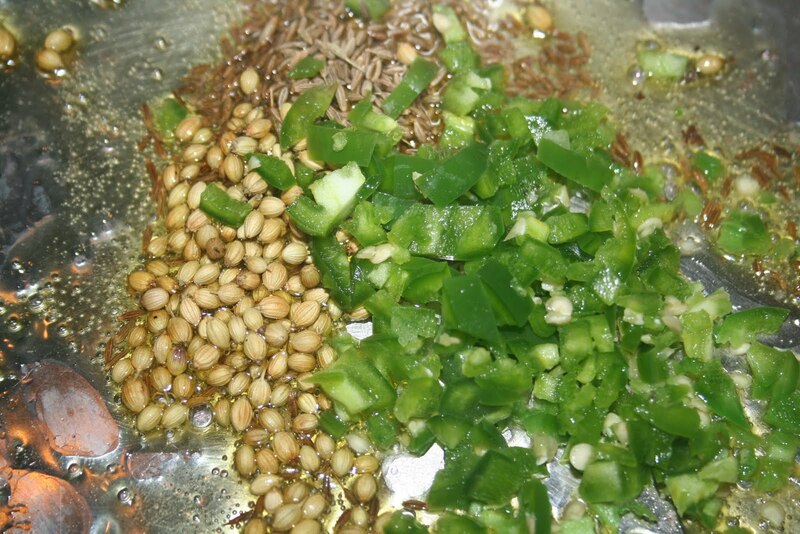 Whole seed cumin and coriander are a must. The coriander provides the high notes and the cumin the low, and since they stay contained in their seeds, they're like flavor crystals that explode in your mouth when you bite them. 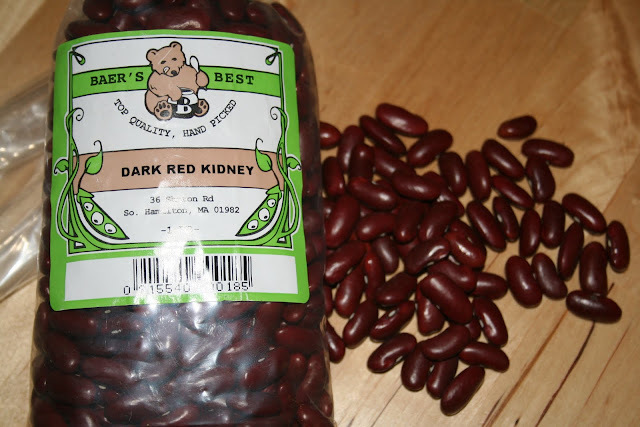 To get the beans ready for the chili, soak for about 8 hours. Rinse and then cook with water and 1 clove minced garlic, covered for between 1-2 hours. Strain and set aside. Heat the olive oil in a large sauce pan over medium high heat. Add the rest of the garlic, jalapenoes, coriander, and cumin to the oil. Saute till the peppers start to soften. Add the canned tomatoes and their juices all at once. Cook uncovered over medium heat until the sauce thickens (if you're in a hurry, reserve the juice from the can and just add the tomatoes). 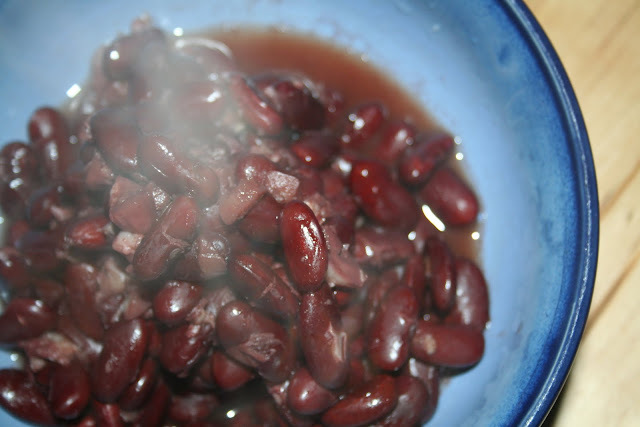 When the sauce has reduced by about 1/3, add the beans and salt to taste. Serve over rice or without. With a nice cheddar cheese or perhaps with a dollop of sour cream.